Biofilm slime in drains is the primary cause of leaking supermarket display chillers. Gel-clear is safe to use with all condensate pumps and vacuum drainage systems. Is biofilm slime the cause? There’s a free and easy way to find out, a free trial of Gel-clear will reveal how many of last years leaks were caused by biofilm using process of elimination. It wont cost you a penny to find out. Yes, it is NSF Registered for use in food preparation areas. By comparison to other products on the market, no, at around 2 pence per day for the average chiller, its the best value on the market. Does it work in Freezers? 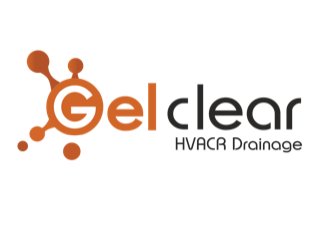 Gel-clear works in any unit that produces condensate waste water, and has a drain. Primarily, Gel-clear is the only method of treating condensate waste water in refrigeration that is effective throughout the WHOLE dispersive route of the condensate waste water. Used by 8 of the top 10 UK retailers, Gel-clear is the leading solution, with two industry awards for Innovation and Refrigeration product of the year. Effective for 12 months, Gel-clear condensate drain tablets stop water leaks, reduce risks, reduce maintenance costs and reduce operating costs. Gel-clear is safe to use with condensate pumps and vacuum systems, being approved pump safe by Sauermann, the world’s leading condensate pump manufacturer and NSF registered for food display chillers.